This is another recipe from my family cookbook, which also happens to be one of my favorite salads. 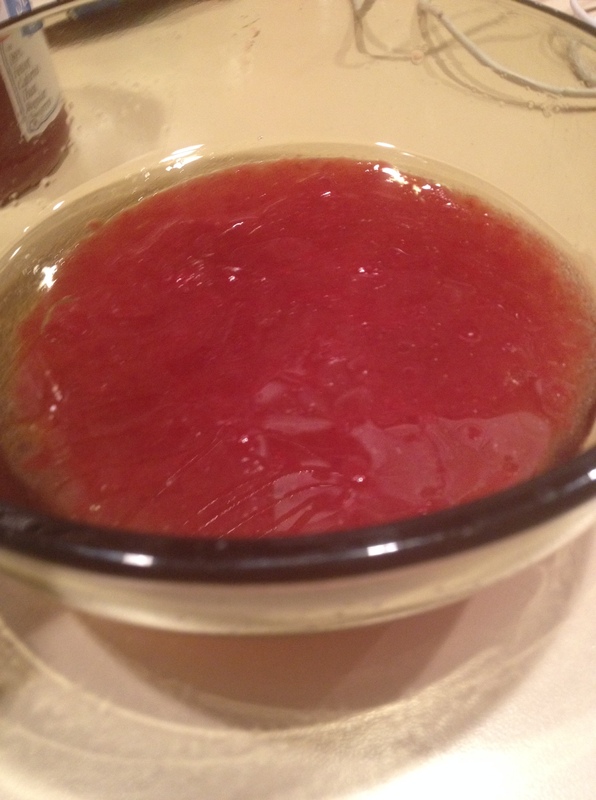 In a small bowl, whisk together the strawberry preserves, grape seed oil and raspberry vinegar. 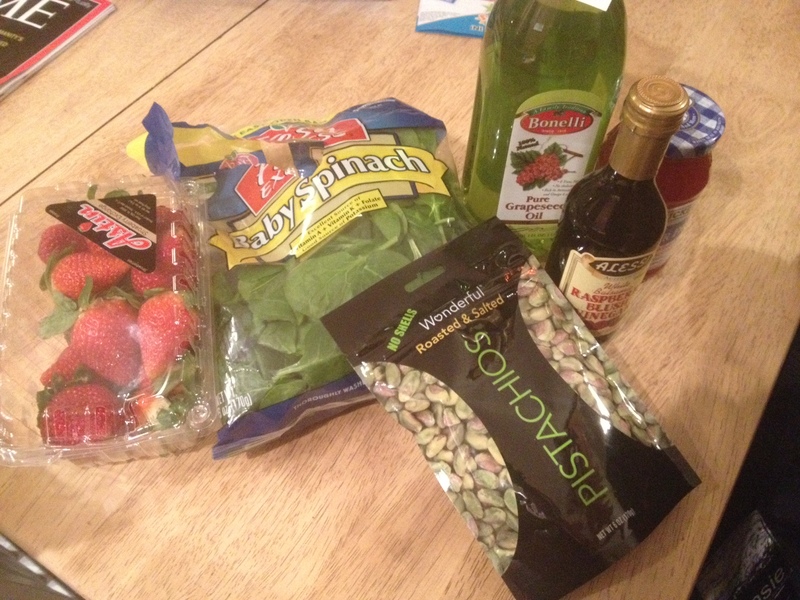 Divide the spinach onto 4 serving plates, arrange the shallots and strawberries over the spinach. 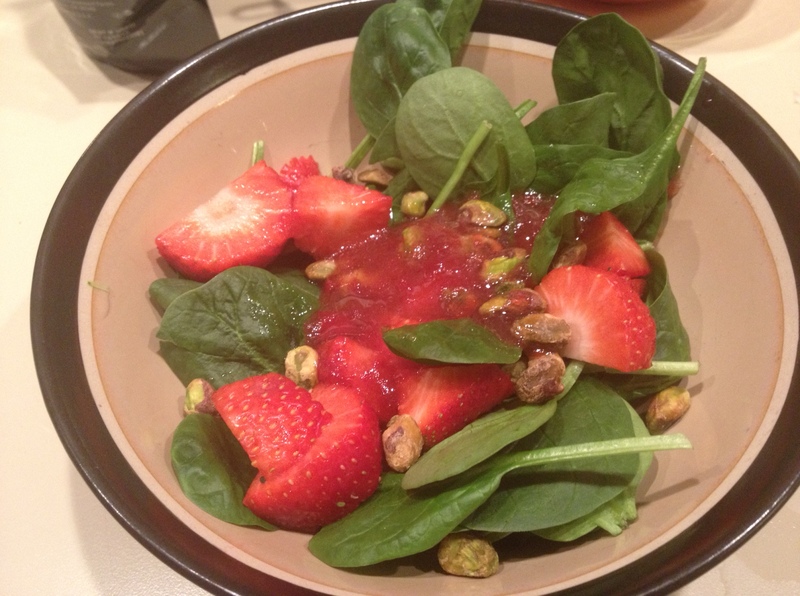 Drizzle the vinaigrette over the salads and sprinkle with pistachios. That looks like a great, fresh salad for spring!